A recent New York Times article (April 12, 2008, Metro Section, pB1) tells the story of Virginia Parkhouse—devoted preservationist, long-time Landmark West! volunteer, hardy citizen and, not coincidentally, target of small-minded, vindictive politicians. 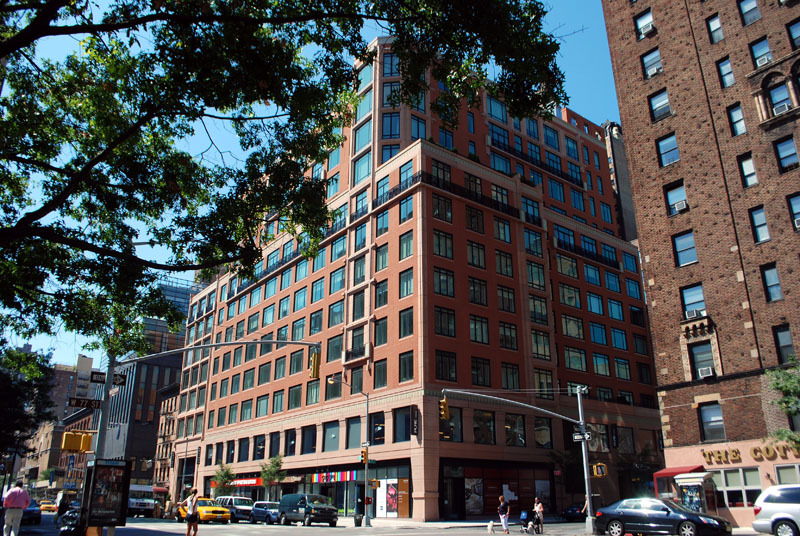 On August 14, 2006, Manhattan Borough President Scott Stringer sent a letter to Robert Tierney, Chairman of the Landmarks Preservation Commission. Stringer sent open copies of the letter to Landmark West! and to Community Board Seven. Now it gets interesting. After Yan’s letter to Tierney, the Department of Investigation subpoenaed Parkhouse, and litigation followed—with Whitney North Seymour, Jr., former U.S. Attorney for the Southern District of New York (the nation’s premier prosecutor’s office) defending Virginia and Landmark West!, challenging the subpoena, and with the New York Civil Liberties Union weighing in strongly as amicus curiae in support of Virginia and Landmark West!. On a separate sheet you will find some extraordinary quotes from the NYCLU Appellate Division Amicus Brief. But back to Yan’s complaint on behalf of Stringer. He stated that Stringer’s views were in his August 14, 2006 letter (“calendar;” “preserve”). Either Arsenault’s sworn Affidavit is correct (that Stringer’s views had changed) or Yan’s November 14 letter is correct (that Stringer’s August 14 letter expressed his views). They cannot both be correct. Either Stringer lied to Arsenault, or Arsenault lied, or Stringer lied to Yan, or Yan lied. And they had the audacity, the unmitigated gall, to subpoena Virginia! Related Companies is the developer that wanted and got the Dakota Stables torn down so that it could erect a luxury condo tower on the site. Finally, a word about Virginia — and Landmark West’s volunteers. Virginia is a steadfast, hard-working, straightforward, committed citizen of New York City. She has appeared frequently before the Commission and spoken on landmark issues on behalf of Landmark West!, the Historic Districts Council (the citywide advocacy organization for New York’s historic neighborhoods), the Murray Hill Neighborhood Association. She and many other preservation advocates read into the record letters and statements prepared by others. She is well known to Tierney and the other Commissioners as a “regular.” Tierney and the Commissioners knew—and know—full well that Virginia Parkhouse is no more a representative of Scott Stringer than she is a representative of the Real Estate Advisory Board. Volunteers like Virginia are the life-blood of small, grassroots organizations like Landmark West! She—and other volunteers—stuff and stamp envelopes, do research, make telephone calls, participate in critical committee meetings (e.g., the Certificate of Appropriateness Committee that reviews—and testifies at the Commission—on every application for work in the landmarked districts on the Upper West Side), staff LW’s tables at street fairs, attend Community Board meetings—and more. So, what is this issue really about? Why would an elected official and a city agency facilitate the subpoena of a volunteer for a community-based nonprofit organization who exercised her right to participate in the public process and speak what she and others believed to be the truth at a public hearing? Only Robert Tierney and Scott Stringer know the real answer. But, in our view, the vicious harassment of Virginia Parkhouse says a sad lot about the politics of New York City’s real-estate development process and the value some officials place on their relationships with developers over their responsibilities to the public. Victory! The Landmarks Preservation Commission designated the New-York Cab Company as an individual landmark on November 14, 2006. Thank you to everyone who signed our online petition, wrote letters to the LPC, and testified at the public hearings. Click here for the LPC press release. Too Late! While the LPC did schedule a public hearing for the former Dakota Stable on October 17, 2006, it was unfortunately too late. 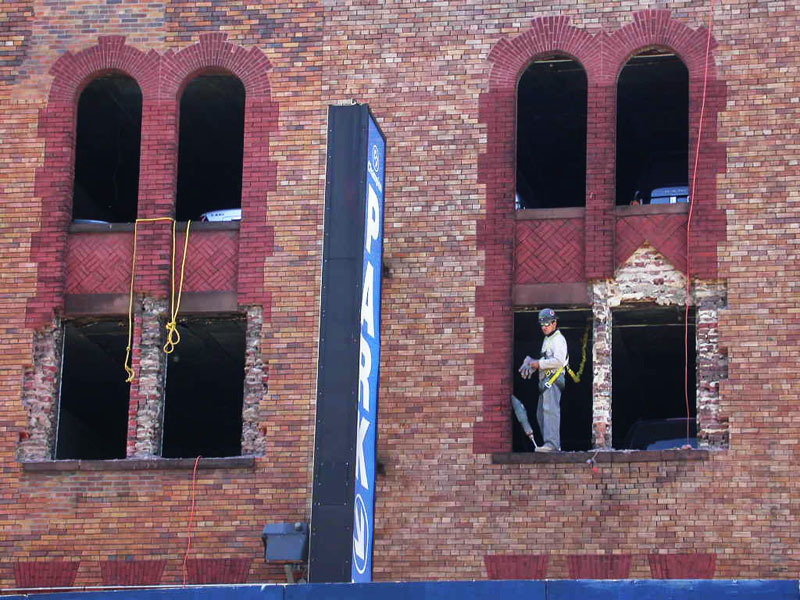 The building’s owner had already secured a permit to remove historic features from the facade and wasted little time acting on it while the LPC wrung its hands from the sidelines. The absence of this “stylistic gem” serves as a reminder of how vital it is for the LPC to schedule public hearings in a timely matter. READ MORE:Click here for articles in LW! Fall/Winter 2007 Newsletter. New York’s wealthiest residents often erected private stables for their horses and carriages — many of those located on the Upper East Side have been designated as landmarks. Middle-class people, however, could not afford their own stables. Instead, they boarded their horses in commercial stables. 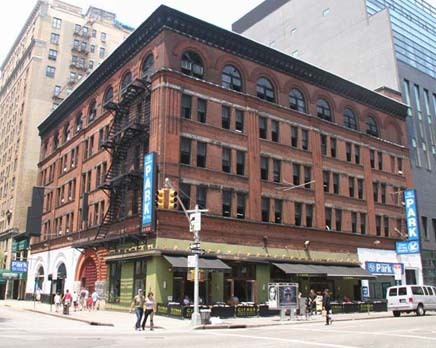 These are of great historic importance in understanding how people lived in neighborhoods such as the Upper West Side and, as is the case with these two buildings, the commercial stables are often of great architectural distinction. 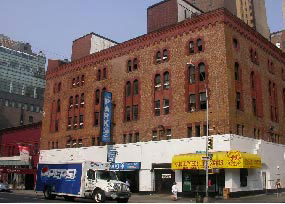 The former New York Cab Company Stable at 318-324 Amsterdam Avenue is a bold Romanesque Revival brick building. The more subtle Dakota Stable is an Italian Romanesque structure designed by Bradford Gilbert, who designed the Tower Building (1888), one of New York’s most important early skyscrapers.